Joshua Corbett is an Anchorage-based documentary and editorial photographer. With a background in international relations and international economics, Joshua has lived and worked on more than three continents. His unique approach to photography is that of a photojournalist, capturing compassion and humanity in some of the world’s most challenging environments. 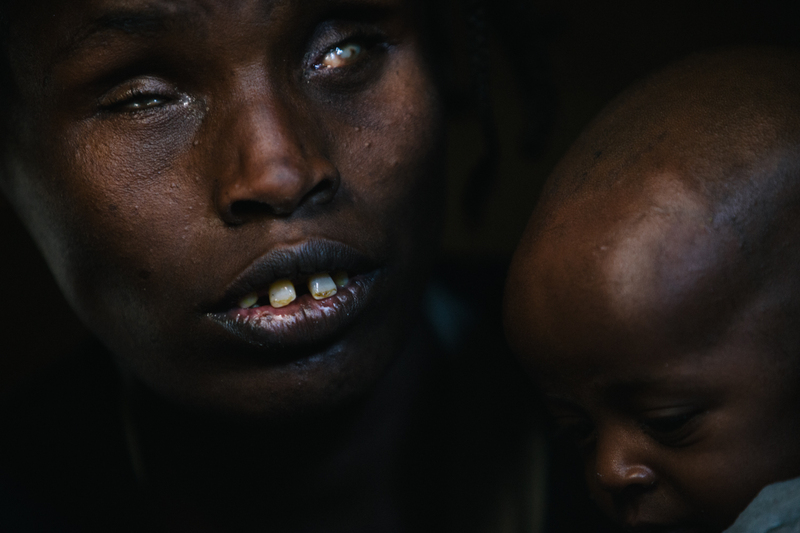 Below Joshua talks to atlas about these impactful images of Tesfa and why documentary photography and photojournalism resonate with him. Joshua Corbett: I do a couple of types of photography, so there is a different answer depending on the shoot – photojournalism, assignment, editorial, portrait, or personal work. To a certain extent, there are plenty of common themes. I usually try to prepare, but not over prepare. I research who else has shot subjects that are similar, what did they do well, what could they do better. If it’s a subject or a person, I will try to think about the assignment from an academic viewpoint, decide if there’s something I want the photographs to say and think about what types of photographs would communicate that. I’ll start thinking about a beginning, middle, and end, but most of the time I’m just focused on trying to relate to the people I’m photographing, connect with them on a personal level, and make good images. Capture the decisive moment if I can. Great photography is really a craft that takes a lifetime to learn. Yes, definitely. My internet browser has a bookmarked list of photographers a mile long. Phil Toledano was my team leader at the Eddie Adams Workshop last year. He’s all about being different and avoiding being lost in the modern deluge of images. He is also brilliant and hilarious. Teru Kuwayama inspired me to take a plastic Holga toy camera around Afghanistan. I love the witty portraits of Chris Buck and Peter Yang. I assisted in the fashion photography world in LA for a while, and definitely learned a ton about lighting from Dove Shore and Isaac Sterling. That was an education in itself. In terms of photojournalists, I’ve been studying Eugene Richards, Christopher Anderson, Matthieu Paley, Brent Stirton, and Lisa Krantz. Other influential people are Beth Skabar, who probably influenced my photography more than anyone else; local photographers in Alaska Brian & Ash Adams, Loren Holmes, Kerry Tasker, and Mark Meyer; Wawi Navarroza in the Philippines fueled a spark and took photography from a hobby to something much more for me; and legendary photo editor Mike Davis. 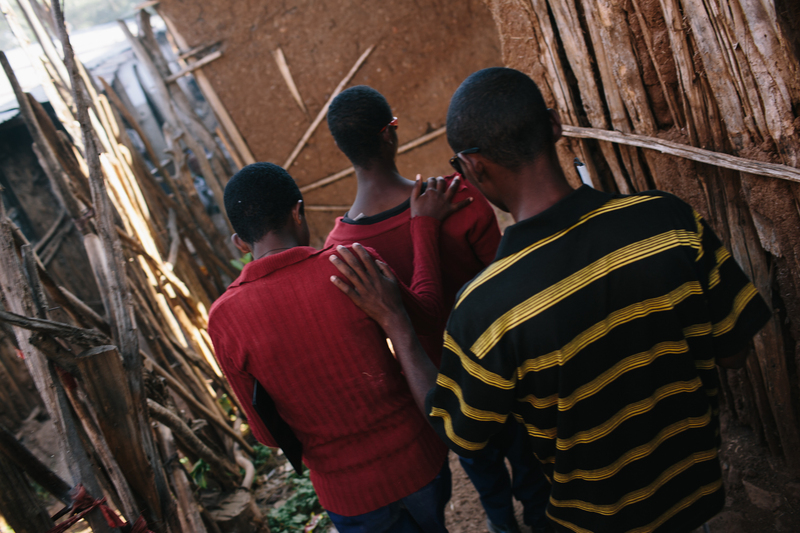 Three blind high school students make their way home at the end of the day. Where do you hope to see yourself in 3-5 years? Do you want to make photography into a full-time career? Yes, absolutely, 100%. In fact, I would go so far as to say that I will make it a full-time career. I’m all in. I think stills will always be what I’m most passionate about, but I expect moving visuals to be a large part of my career. I have another business that I get to do a mixed bag of creative work for such as photo and video, but also graphic and web design stuff. In 3-5 years, my ideal would be still doing the photo/video work but more importantly, I want to be the guy that gets the call for the really impactful, longer social documentary and photojournalism projects in Alaska. In addition, I’d also like to have 2-3 new bodies of personal work that are really good — stories that I really spent a long time on and told well. That doesn’t sound like all that much, right? Maybe 15-20 images per project, so 40-60 images total. But to have those 40-60 images actually be good, tell the story well, do justice to the subject. That’s a true challenge. Whatever I have to do to have that under my belt in 5 years, I’m committed to doing it. All the other stuff, career, etc. is really secondary. I want to care deeply about whatever projects I’m working on, and be invested personally in the subjects. You have done a lot of interesting photography series. Among those series on your website, do you have a favorite? That’s a tough question, actually. As a photographer, it’s so hard to evaluate your own work – it’s one of the reasons that I (and many other photographers) find it so difficult to picture edit their own projects. In a way, you’re too close to your own work. I also overestimate some photos because of the experience it took to get them. It’s probably for that reason that “Movement to Contact” comes to mind first when I think about this question. I spent a year of my life in a pretty dangerous area of Afghanistan to get those photos. It’s also the project that spans the most time, and, I think that is why it is the most complicated and nuanced. That series is far from perfect, but I think it does a good job of communicating my view of that part of Afghanistan, which is a part of the world that very few people go to including journalists. While I was there, I think I saw three total — a writer and photographer team working together for 4 or 5 days, and a writer who was also there for about the same amount of time. I was there for a full year and the experience was very formative for me, both as an individual and a photographer. So in a way it’s a favorite but not because it’s good — in fact, I think it could (and has) been done better by other photographers — but because it represents such a crazy (both good and bad) set of experiences for me. 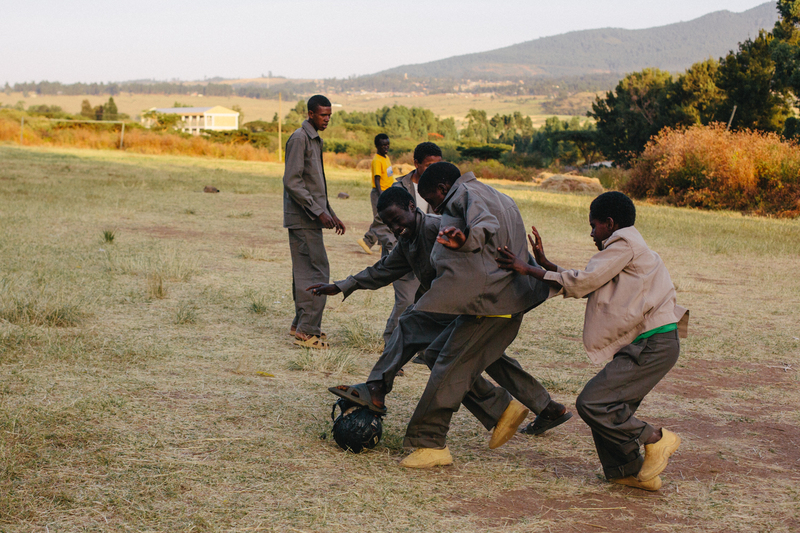 Blind high school students play soccer after class. Well, I still consider myself a novice in a lot of ways. I’m just starting my professional career and I have much to learn. I can parrot back some pieces of advice that I have been given in the last couple of years that resonated with me: Care about what you photograph and photograph what you care about. “Wade into the bloody scrum of life.” Think and work in terms of projects. Shoot a lot – sometimes it takes a lot of really terrible photos to make a couple of very good ones. (I still take a ton of terrible photos). Enjoy the practice of photography. Slow down and think about what you’re shooting. Think about what you have to say and how photographs can say it. Try to be different, even if it means failing horribly. Develop your own way of seeing the world. The way a photograph is made is more important than what is photographed. Photograph from infinity forward (the smallest element in the background may make the photograph). Photograph more than just the verb. For more information about Joshua, visit his website. All images © Joshua Corbett.